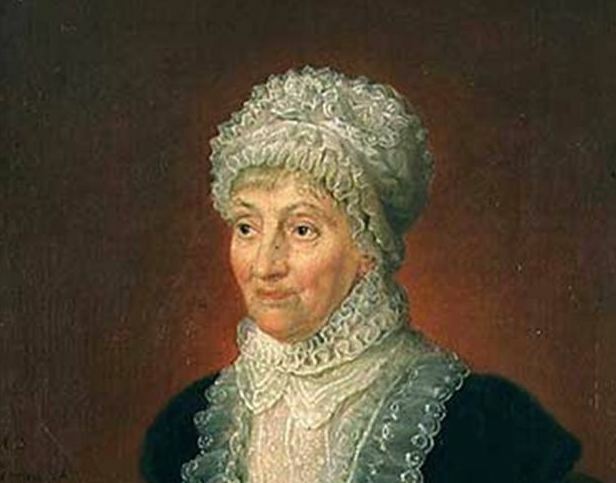 Caroline Herschel was an astronomer in the late 1700s and early 1800s. She was known for her observations of nebulae, which at the time included comets, galaxies, what we now call nebulae, as they all appeared “fuzzy” in telescopic observations. 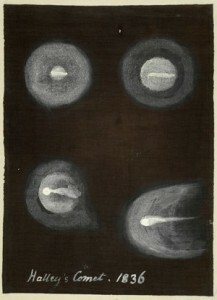 She discovered her first comet in 1796, and went on to discover seven more, which was a huge accomplishment at the time. She was an honorary member of the Royal Astronomical Society and the Royal Irish Academy (women were not admitted as full members then), and was awarded the Gold Medal of Science by the King of Prussia. She also did much of her work in the shadow of her brother William. William Herschel is perhaps most famous for his discovery of Uranus, but this was really just a matter of chance. William had no reason to suspect there was a planet beyond Saturn, and was not specifically looking for planets at the time. His real interest was in deep sky objects, and this required careful observations with ever larger telescopes. Of course this type of work is hard to do alone, which is where Caroline comes in. Caroline began working with her brother as his housekeeper, but she had skill and interest as an astronomer, and eventually became her brother’s apprentice. This meant she did much of the skilled tedious work such as grinding and polishing mirrors for William’s telescopes, and doing much of the record work for their observations. The term “apprentice” doesn’t really match the work that Caroline did. 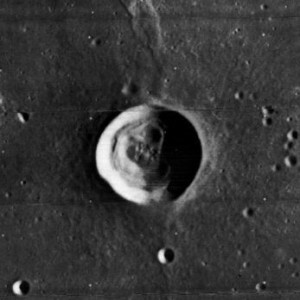 C. Herschel crater on the moon is named after Caroline. When William was away on business, Caroline continued with their observations on her own. She was only 4 foot 3, and most of the observations they made were on a 20 foot long telescope that had to be aligned by hand. They also had a 40 foot telescope, that was particularly unwieldy and not entirely safe. On one evening after a snowfall, Caroline slipped and fell against a supporting hook, which gouged her above the knee. The doctor who treated her declared such an injury would put a soldier out of commission for weeks, but she was up and working again in days. After William’s death, Caroline continued her work as an astronomer. Toward the end of her life she compiled and catalogued all the discoveries she and her brother made. She presented the work to the Royal Astronomical Society. At a time when women were often seen merely as the supporters of the work of men, Caroline distinguished herself as a partner in her brother’s more famous work and as astronomer in her own right. Proving that astronomy is women’s work as well. Philosophical Transactions of the Royal Society of London, Vol. 86, (1796), pp. 131-134.